Check out Tobi's Sunshine Girl Gingham Romper ICYMI, gingham is a thing. 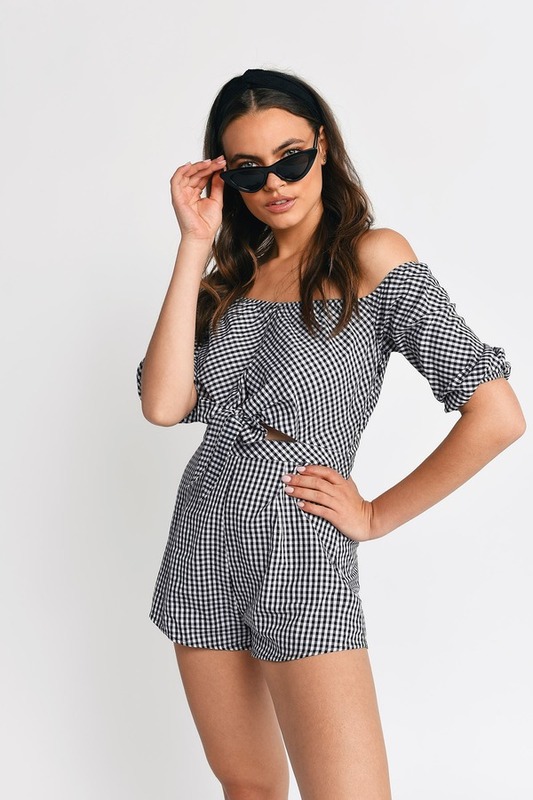 In crisp cotton, the Black Sunshine Girl Gingham Romper is an off the shoulder romper with puffed half sleeves and a tie detail at the waist with a peek-a-boo cut-out. There's nothing cuter for brunch dates on a sunny day than wearing this strapless romper.